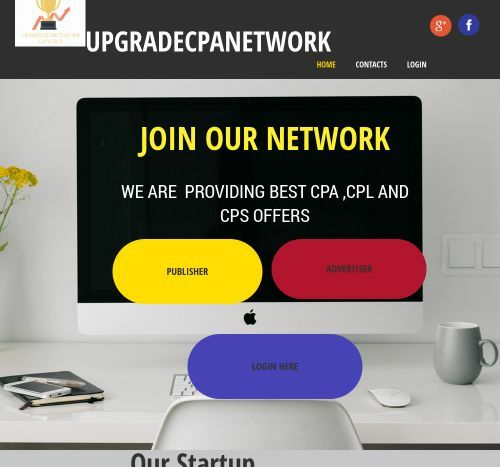 Upgradecpa - Affiliate CPA network reviews and details. As one of the best marketing online programs, Upgradecpa Network has a wide range of active affiliate offers in every vertical you could want to promote. The aim of developing the CPA network is attempting to provide plenty of different publishers without specializing in one particular vertical. Working with us, you will have a wide range of exclusive and high converting offers on different vertical such as Loan & Payday, Health & Beauty, Diet, Mobile install, Forex, Binary, Gambling, Download, Pin Submit, Mobile subscription and so on. All different legitimate traffic types are encouraged. We hope our publishers to be creative in their promotions. In addition, you will be assured to get the highest payout and highly referral commission. Moreover, we have a team of experts with rich experience that can support you immediately whenever you have problems. You can check Upgradecpa reviews and Offers on Affbank and ask Upgradecpa Team any question by using the contacts above, especially about how to earn money! For registration in the Upgradecpa Network - click on Join Now!